For an employee, hard work plays an important role. Without a hard work, it is impossible for an employee to become a star employee. 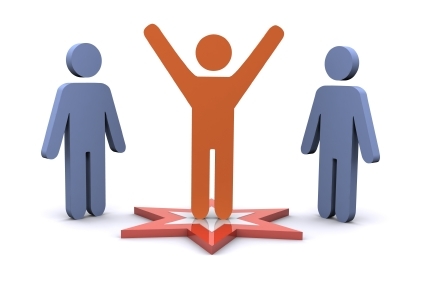 To reach to an executive level, a star employee really works hard with strong determination. Therefore, when a placement agency conduct an Executive recruitment, then he or she should check the following traits in an employee and then suggest the name to the employer for an executive role. After all, every company wants the best from their employees. SWOT Analysis- It is very important for an employee to analyze the Strength, weakness, opportunity, and threat in the workplace and accordingly mention to the HR so that both of you can work on the same and bring the best from the employee. It will help the employee grow and work on those areas that are harmful. Plan well- Both candidate and HR should plan every detail before taking any responsibility. A candidate must check and plan well beforehand whether he or she can take the responsibility of the job role or not. Plan in advance, prepare in advance and then move ahead with the decision. In a dynamic business environment, it is very important to manage everything very well. This management skill helps you to work under pressure and give you continuous support. Hence, your management skill will also define how superbly you can manage and bring the best. It will actually give you positive result. A star employee always takes less stress because of the management skill. If everything is planned beforehand, then the delivery of the work will also be before the time which can accordingly take place on the time. Good reputation with employers also counts in the career. At workplace, if your behavior, attitude and way of communication is good, then automatically your background need not to be double check and this really matters if someone is applying for an executive position. So, make sure that you follow these steps to make a bold move in your career choice and you will definitely find a good position in your career. The placement agencies are always there to help you find the best corporate jobs in the executive level and this will definitely solve all your queries at the best possible ways. Hence, an employee must look into the personal growth and fulfill the requirement to get the best approach in the work culture as well for personal growth. It totally counts in the growth of the employee.